Each organization has to focus on several factors to make its cross-platform mobile app popular and profitable. At the same time, it is also important for the organizations to explore innovative ways to build different versions of the same app for multiple mobile platforms using a single code base. The seasoned mobile app developers opt for tools that effectuate platform agnostic code sharing across popular mobile platforms. As highlighted by several reports, Xamarin is hugely popular among seasoned mobile app developers due to its code sharing technique. 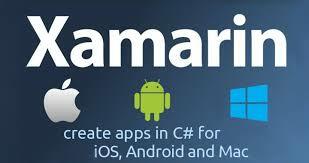 Unlike other cross platform mobile development tools, Xamarin enables programmers to write the code in C#, and share the platform agnostic codes between iOS, Android and Windows Phone. It further enables developers to share the same code base across different projects using two distinct options, Portable Class Libraries, and Shared Projects. As the name indicates, this code sharing technique allows programmers to write the code once, and share the code base between different projects. Thus, multiple projects can refer to a single code base. As the technique supports compiler directives, the programmers can easily incorporate platform-specific functionality into the shared code base. After incorporating the platform-specific functionality, they can compile the code base into a subset of the projects. The subsets can be seamlessly referenced and use by the shared projects. The developers can further use an IDE to manage the compile directives, and check how the code looks in each application. However, each Shared Project lacks output assembly. At the time of compilation, the files are treated as part of the referenced project. Hence, the files are compiled into a DLL that cannot be shared or re-factored easily. PCL makes it easier for mobile application developers to write the code and libraries once, and share them across Xamarin.iOS, Xamarin.Android and Windows Phone. The programmers also have option to create the PCL using either Xamarin Studio or Visual Studio. After creating the PCL, they can make individual platform-specific projects refer them. Thus, PCL makes it easier for developers to share the same code base across multiple projects. The developers can effectuate cross-platform mobile app development by creating PCL for each targeted platform. Further, they can use interfaces to incorporate platform-specific functionality into the code. The affected references are also updated each time any refactoring operation is carried out. However, the PCL cannot use compiler directives. They can access only a subset of the .NET framework. The technique however enables developers to share the code across multiple projects without putting any extra time and effort. On the whole, mobile app developers have option to choose the right code sharing method according to their specific requirements and targeted mobile platforms. The Shared Projects technique enables programmers to share code only in the apps, and not with other developers. On the other hand, Portable Class Libraries is an effective solution for sharing resulting assembly among various developers. Many seasoned Xamarin developers decide the right code sharing technique while making the development strategy.